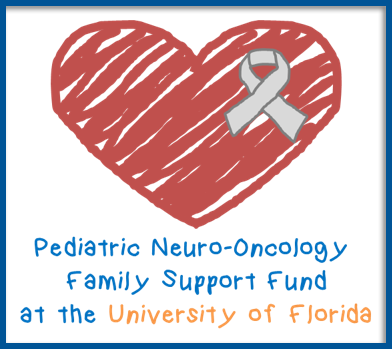 At the University of Florida, about 400 aneurysm patients are treated each year. A cerebral aneurysm, often referred to as a brain aneurysm or simply as an aneurysm, is a weakness in the wall of an artery in the brain which leads to a balloon-like sac outpouching. Cerebral aneurysms occur more commonly in women than men, and occur mainly in adults. A small, unchanging aneurysm may produce no symptoms. However, aneurysms are at risk for rupturing and causing bleeding in the brain. When an aneurysm ruptures, the patient may experience a sudden and usually severe headache (“worst headache of my life”), nausea, vision impairment, vomiting, and loss of consciousness. Onset is usually sudden and without warning. When an aneurysm ruptures, 50% of people die from it, and of those that live, many are permanently disabled. So we try to eliminate aneurysms whenever possible before they rupture. Diagnosis of a cerebral aneurysm is usually by CT angiogram, MR angiogram, and sometimes a catheter cerebral angiogram. If an aneurysm is suspected of rupturing, a head CT scan can diagnose the blood. A lumbar puncture may be necessary to confirm the suspicion of blood from an aneurysm rupture. 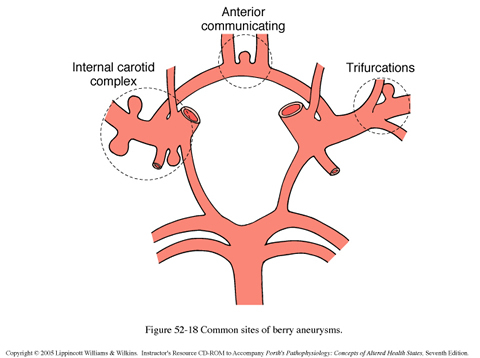 When an aneurysm ruptures, the patient is admitted to an intensive care unit (ICU). Hydrocephalus (excess brain fluid) develops in some patients because of blood clogging the absorption channels for normal brain fluid, and placement of a ventriculostomy catheter (a plastic tube inserted into the brain) can be a life-saving treatment to drain the excess brain fluid. A cerebral aneurysm is treated to prevent it from bleeding again. The second bleed from an aneurysm that has already ruptured is associated with a 79% death rate. Cerebral aneurysms can be treated with surgery which involves craniotomy (opening the skull) and placing a titanium clip to pinch the aneurysm. Most cerebral aneurysms can be treated with coiling, a minimally invasive treatment in which tiny platinum coils are placed within the aneurysm to block it off. The coils are inserted through a tiny plastic tube that is inserted in the patient’s groin artery and navigated to the brain using x-ray guidance and requiring no surgery. One out of five patients with a ruptured cerebral aneurysm develops a life-threatening condition called vasospasm. The brain blood vessels shrink down due to irritation and can cause strokes and death. Vasospasm is treated by raising the patient’s blood pressure with medications. Sometimes patients are treated with balloons to open up the shrunken blood vessels and medications injected directly into the affected blood vessels via a tiny plastic tube inserted in the patient’s groin and navigated to the brain using x-ray guidance. Some patients have a cerebral aneurysm that is found before it ruptures. Often, these patients are advised to have their aneurysm treated to prevent it from rupturing. The aneurysm is treated either with the surgery clipping operation or the nonsurgical coiling procedure described above.